Our fearless female democratic presidential candidate recently held an online Q&A sesh via Facebook, where a supporter named Libby Brittain asked how Hillary Clinton manages the daily "hair and makeup tax." Brittain mentioned how, "every morning, as my boyfriend zips out the door and I spend 30+ minutes getting ready - I wonder about how the 'hair and makeup tax' affects other women — especially ones I admire in high-pressure, public-facing jobs." Turns out Clinton isn't any different from the rest of us. The former Secretary of State replied, "Amen, sister - you're preaching to the choir," she continued to relate by saying, "It's a daily challenge. I do the best I can - and as you may have noticed, some days are better than others! 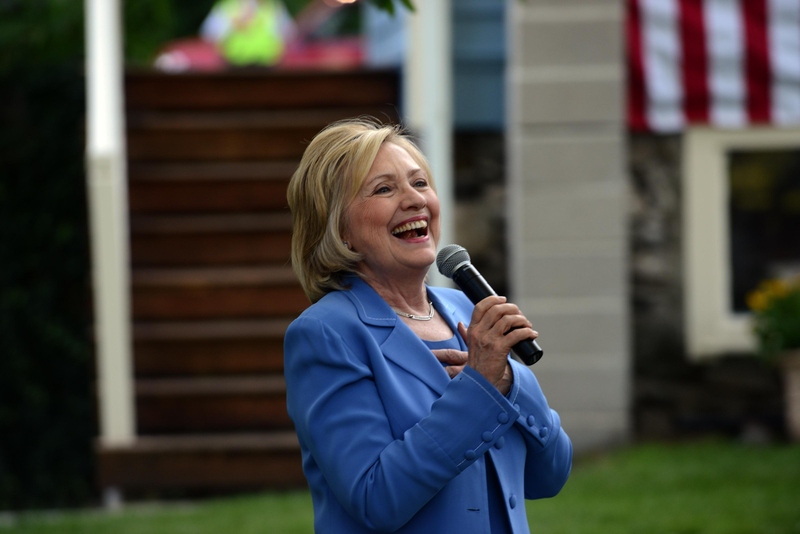 -H."
Although Clinton finished her response of a light note, it's good to know that even the presidential candidate for 2016 has the basic daily struggles just like the rest of us. Hell, she probably has it worse with endless amounts of cameras snapping her every move. If you're part of the bashing bandwagon that thinks, "But she looks the same every day, considering all she wears are pantsuits," you need to chill. Yes, the whole world gets it: she wears pantsuits almost all the time, but as a woman with a passion that is largely male-dominant, do you think she would've been able to gain half the respect she does if she were to wear the stereotypical style of a woman, such as skirts and dresses? Either way, whether she's wearing "feminine" clothes or "masculine" attire, she'll be judged by some group of haters out there, so why not wear something that she really enjoys wearing? In the same Q&A, Clinton commented that she's "never met a pantsuit [she] didn’t love." And to be honest, she looks damn good in them despite the fact that even she pays the price of the "hair and makeup tax." Absolutely stunning in that shade of fuchsia! A sista knows how to accessorize like a boss. Can't tell which is brighter: her pantsuit or her beautiful smile. Hair and makeup lookin' on point, Mrs. Clinton.